Nick is from Hebden Bridge, West Yorkshire. He has a First Class BA (Hons) from Rambert School of Ballet and Contemporary Dance and a Distinction Post-Grad Diploma from Northern School of Contemporary Dance (Verve 2009). As a dancer Nick has worked with a wide variety of companies and choreographers in the UK and internationally including; ACE Dance and Music, Akram Khan Company (for the Opening Ceremony of the London 2012 Olympics), Amir Hosseinpour, Arcade Fire at Earls Court, Brighton Festival, Charlotte Spencer Projects, Dance Umbrella, Darshan Singh Bhuller, English National Opera, Errol White, Gary Clark, Grand Théâtre de Genève, Greenwich and Docklands International Festival, James Cousins, Janine Harrington, Janusz Orlik (for Polish Dance Platform and Beijing Fringe), Jorge Crecis, Les Miserables (Oscar winning motion picture), MadDogs Dance Theatre, Motionhouse Dance Theatre, Phoenix Dance Theatre, RSC, Stephen Pelton, Theo Clinkard, Tomasz Wygoda, Welsh National Opera and extensively with Cie. Willi Dorner. Nick started to develop his own creative work for Hebden Bridge Arts Festival between 2010-12, and he has collaborated on musicals, music videos, fashion editorials and freelance commissions. He continues to tour for Willi Dorner’s acclaimed ‘Bodies in Urban Spaces’ as the tour director. 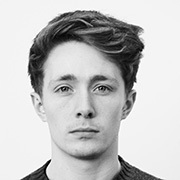 Most recently, he choreographed and performed in ‘Roleks’ at Wilton’s Music Hall in May 2016, as part of their Strike! Dance Festival. On top of his artistic work, Nick has been the elected representative for dance on Equity Council since 2014. His goal being to develop a strong unionised community within the industry, and to improve the working conditions and overall value of professional dancers. This has seen the formation of the Equity Freelance Dance Network and a new Dance Committee of 9 professional dancers and choreographers within the democratic body of Equity.